Fresh bamboo shoots are one of life’s great pleasures – and one of which the tinned version gives you absolutely no possible inkling. I had some for dinner tonight in Hangzhou, cooked with a little fine stock and a speckling of Jinhua ham. They were sublime, crisp and juicy, with a sweet-savoury taste of indescribable loveliness. 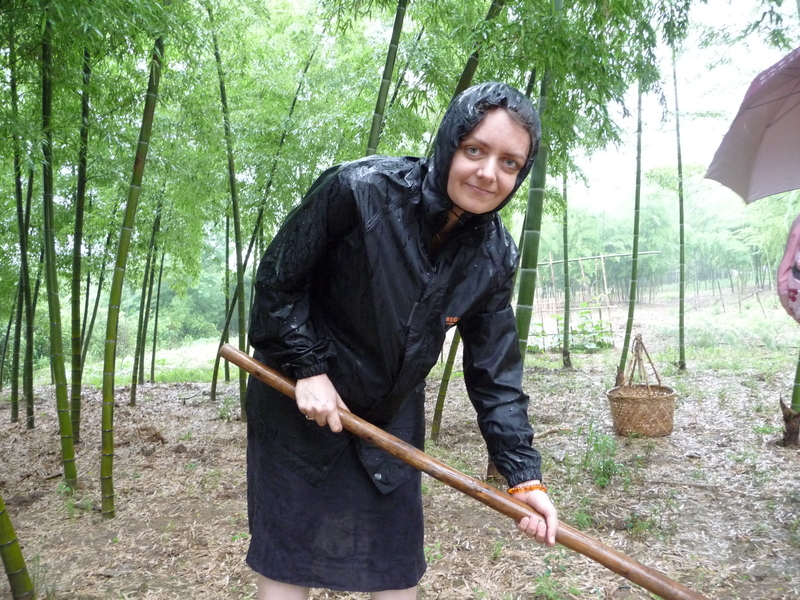 They gave me particular pleasure today because I went out digging for bamboo shoots in the rain earlier this week. This is quite a challenging task for the novice: you have to look for a crack in the earth which betrays the presence of a growing shoot, and then dig the shoot out without damaging its ivory flesh. What a coincidence! I just bought some today in the market. Not sure what to do with them, though. I’ve eaten them a hundred times, but never cooked them. 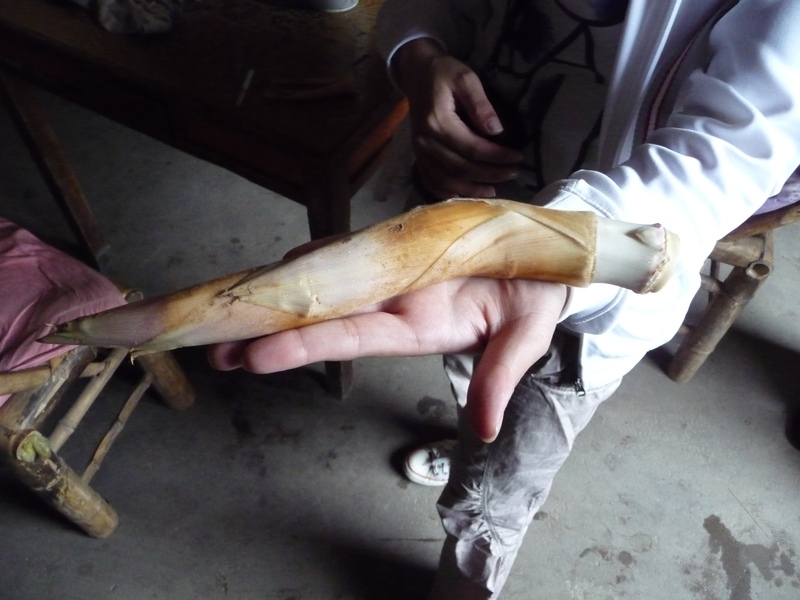 Fresh bamboo shoots are all over the markets in Shanghai, and I cooked up your recipe for “Bacon with Winter Bamboo Shoots” from your Hunan cookbook with them the other day. 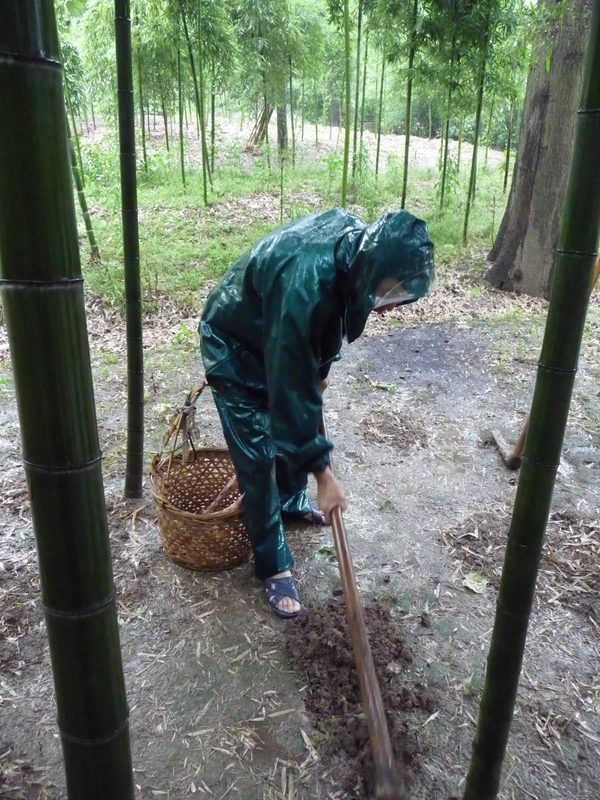 Are the bamboo shoots you describe in the book the same bamboo shoots that are in season now, or is there a different kind in winter? In any case, it was delicious! Looks different from the one’s that I get where I’m at. The one’s here are much fatter. Do they preboil the shoots before they cook them in the main dish? We have lovely ones here in northern Australia, in season. Looking forward to seeing you in Sydney! Is there any way I can contact you urgently?! Aaron – at the moment you will find 春笋， spring bamboo shoots. Winter bamboo shoots appear in winter (! ), and have marvellously crisp flesh. 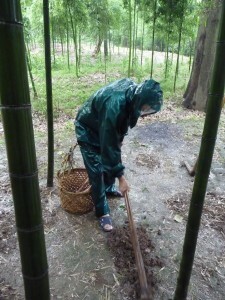 The kind we dug up the other day were a kind of spring bamboo called 鞭笋 , bian sun. And yes, David, they are usually pre-boiled.